If you love Christmas as much as I do, then you might like my new book, Christmas Sparkle. There are 7 fun holiday projects. 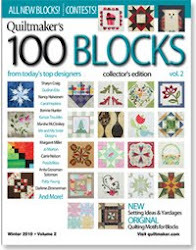 If you are interested in purchasing a copy, then simply click this link to my retail website at The Christmas Shoppe http://www.oldstnick.net/item.php?item_id=4788. I don't have a huge inventory right now so I will notify you if there will be a delay in shipping while I wait for my reorder to come in. 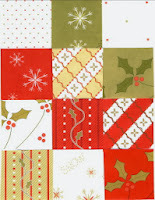 Yesterday I promised you a look at my newest fabric line, Simply Christmas. It will be shipping in May. I've just scanned a few of the pieces (I apologize that the colors aren't quite right - I think my scanner is starting to croak). 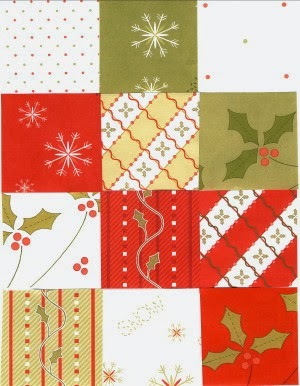 But if you click this link you will see the whole collection plus there is a free pattern to download: http://www.henryglassfabrics.com/collection/simply-christmas/. 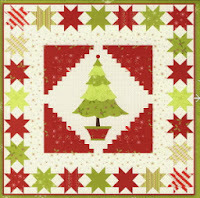 Here is a new version of the cover quilt from Christmas Sparkle remade with the Simply Christmas fabrics. I really love the reds and greens in this collection plus I have never met a polka dot I don't like! And just to add a little humor to the day I'm going to post another Christmas picture. This one is from 1953 (notice I've been posting the pictures in chronological order??). Yes, in Los Angeles they had people who would come around to your house before Christmas with a pony. You just got right up there and smiled for the camera. You couldn't keep the pony though. Besides our backyard at this house was about as big as a postage stamp. And don't forget to keep commenting ...... you might win one of the Tour des Jardin kits. Every little girl's dream.....that must have been fun. But hard to see him leave! Your picture is so cute! I grew upon north Florida and was fortunate to own a pony for a while. 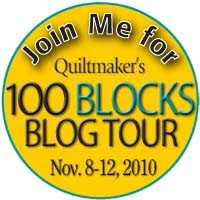 :-) I love your new collection and the quilt on the cover of your book. A real pony!!! Look at that smile. Your newest line looks lovely. love your new fabric especially the holly leaves. My mom has a picture of my on the pony people lead around house to house in Jackson, MS for Christmas pictures. Such fun. I have to say I love your quilt, but the horse is stealing the limelight! And of course you were pretty cute too! Enjoyed seeing pictures from your childhood. Thanks for the chance to win. Love the new fabric line! The colors are great especially the soft green! Love the photo! When my son was about 2 there was a photographer who brought a pony to the local mall for children's photos. That was about 1990 or 1991 so here in KY I guess we were still in the 1950's then! Old fashioned or not, I treasure that photo of him on the pony. 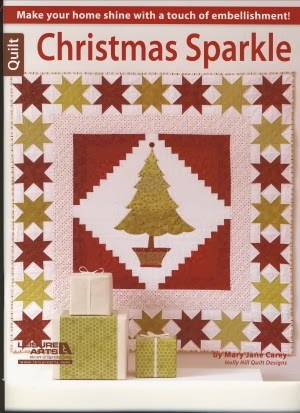 I love the look of your Christmas Sparkle book and fabulous new line of fabric! I love those dots too! The pony picture is funny - what a great Christmas picture! thank you! HI,love the photo of Christmas Sparkle using "Simply Christmas>adorable collection! I was about to say you graduated to a real pony, but was just a photo op. I never got a pony for Christmas either even though I asked for one every year. What a fun picture. I'll bet you were thrilled to actually sit on a real pony. What a bummer that you didn't get to keep the pony lol. Wow! I really love the new fabrics. Thank you for showing them. The picture is really cute. 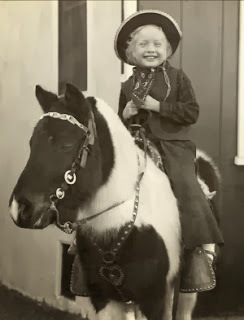 It must have been fun to sit on the pony and get your picture made. I like the prints in your new Christmas line. Very pretty! You certainly seem to have had a lot of fun as a child. Pony visits aren't even everyday occurrences in the Midwest!